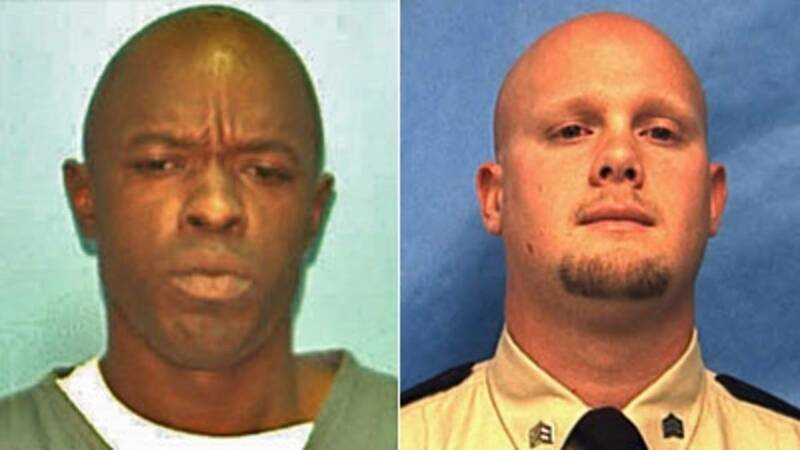 LAKE CITY, Fla. - A Columbia County jury on Wednesday convicted an inmate of first-degree murder in the March 2012 killing of 24-year-old corrections officer Sgt. Ruben Thomas at Columbia Correctional Institution near Lake City. After a one-week trial, it took the jury just over three hours to find Richard Franklin guilty. Thomas was stabbed in the neck with a handmade weapon while conducting a cell check. A second guard was treated and released from a hospital after being injured in the attack. Franklin, who has been in prison since 1995 serving a life sentence for murder, could face a death sentence in the penalty phase of this case begins next Tuesday. Thomas left behind a fiancee, a daughter and a baby boy on the way. His name was just added to the National Law Enforcement Officers Memorial during ceremonies in Washington D.C. last month. Franklin was convicted of murdering 25-year-old Bethune-Cookman University student Gregory Roper in 1994. He also received life for robbing an elderly man and 30 years for shooting the victim, who survived.